Iceland announcer Gudmundur Benediktsson may not be the most famous Icelander at Euro 2016, but he is responsible for one of its most iconic moments to date: his absolutely wild goal call when Iceland scored in added time against Austria to secure their spot in the knockout round. On Monday he was at it again, making yet another crazy and highly-emotional call when Iceland took the 2-1 lead against England. 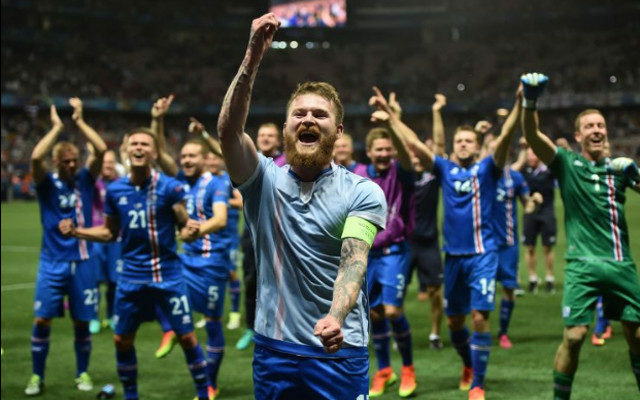 After the game, Benediktsson expressed pride and confidence in Iceland’s chances to stay alive in the tournament and took a quick jab at England’s recent referendum to leave the European Union as well. “This is done! This is done! We are never going home! Did you see that! Did you see that! Never wake me from this amazing dream,” Benediktsson said.